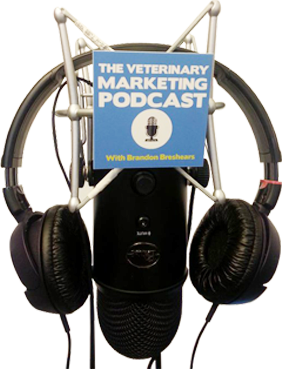 In this episode I interview Dr. Braden Collins, from Bunbury Veterinary Clinic in Western Australia about his social media and content marketing. I initially met Dr. Collins from the podcast, when I mentioned I was doing a Facebook case study to get new clients. Dr. Collins was kind enough to let me try some new client acquisition strategies and we’ve been keeping in touch ever since. Since I was able to run tests in his market I discovered a few things, first his target market on Facebook was around 30,000 people, which isn’t that large of an area, and he is consistently reaching a large number of those people and has around 1,500 likes on his page. That is impressive, 5% of his market likes his page! Each post he gets out reaches between 5-10% of his market consistently with a small marketing budget as we discuss on this episode. We talk about everything from content creation, to contests at holidays to reaching out and get his stories covered by local news. Dr. Collins shares a bunch of really great and practical insights that will absolutely help you market your veterinary practice. Be sure to listen to this entire episode!